Hey guys! It's time for another installment of Friday Five! 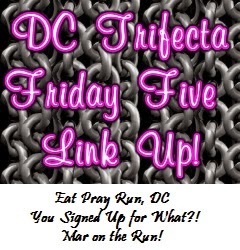 I am linking up with the lovely ladies of DC: Courtney at Eat Pray Run DC, Cynthia at You Signed up for What?, and Mar at Mar on the Run. This week's theme is "Five Blogs I'm Loving." Obviously, included are the amazing women listed above, but I'm going to branch out and list five others I really dig (there are a whole lot more, so don't be sad if you aren't listed... you're probably on my list of blogs to follow :) ). It was tough to narrow it down to only five, folks! 1. Scott of Piratebobcat. He has a great sense of humor and is always making me laugh with his jokes and photos/captions. His posts almost always begin with a clever title, which always makes me curious as to what exactly he's writing about that day. Plus, he's pretty much a beast with all the running and yoga he does (speed work, too! Oy.). Not to mention, he loves tacos! Anyone that loves to eat as much as I do is a friend in my book :) I also look up to him because he killed the Dopey Challenge this year! 2. Danielle of Live, Run, Grow. Danielle is a runDisney fan and a dog lover. Need I say more? No, but I will. She also ran Dopey in January. She recently started doing Triathlons as well, so she is quite the inspiration! I love when she gives tips for yoga/stretches for runners – so helpful. 3. Lacey and Meranda of Fairytales and Fitness. These girls are sweet as can be! They have a wealth of knowledge about runDisney as well as running in general. Also... more dog lovers! Can you see a bit of a pattern here? Haha. They post just about everyday, and I enjoy reading what they have to say, especially how real and honest they are. 4. Kathleen and Lauren of Sister to Sister Running. Kathleen is currently checking off states for the half marathon state challenge (a half marathon in each state). I think that's so awesome! I had a chance to briefly meet her in person, and she was so personable and nice! 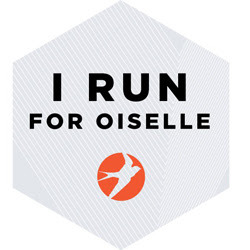 She is also going Dopey in 2015, so we have a common goal :) Her sister is gunning for an under 2 hour half marathon, and Kathleen under 2:20 — some speedy sisters, there! 5. Tara at Running 'N' Reading. I love reading and running, too! It's always so nice to find people that have the same interests. Also, I'm always looking for book recommendations to add to my very long list of books to read. Such a great source! 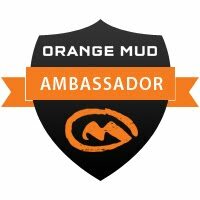 What are some of your favorite blogs to read? What do you have going on this weekend? Thanks to Courtney, Cynthia, and Mar for hosting! Make sure to check out their "Friday Five" posts (direct links above in first paragraph) and link up if you are joining in on the fun. Don't forget to read/comment on some of the other link ups – there are always so many great ones, if you have the time, try and get through them all! Have a great weekend! Thank you for including me in your list, Heather; I'm honored! Did you add your link to the link-up today? I couldn't find it! Maybe I just missed it...I hope you have a wonderful weekend and enjoy some good running and reading! Um... I completely forgot to link it up! Thanks for letting me know! Oopsies. Hope you had a great weekend! Great list - thanks for the recs and for linking up! Haha, I love you follow someone because of their love of tacos! I'm with ya girl! Annnnd I am not ashamed to say that I will continue reading someones blog solely for their dog pictures. Whatever, it's fine. Dog lovers unite!